Jena earned a Bachelor of Science degree in Business Administration/Management from Winthrop College. She moved to Richmond, where she was introduced to an occupational therapist. The rest was history. She attended VCU/MCV and earned her Masters of Science in Occupational Therapy in 1993. Jena has experience in a variety of settings and has had the pleasure of working with people of all ages. Her philosophy includes empowerment of the individual to better understand their illness, injury or disorder and to give them the tools or skills needed to reach their potential. Currently, she sees both children and adults with sensory processing challenges (as well as other diagnoses). She has advanced training or certification in the following areas: Therapeutic Listening, The Listening Program, Interactive Metronome, The Alert Program for Self-Regulation, The Wilbarger Protocol, Heartmath-Heart Rate Variability Training, and Neurofeedback. Jena is married and has three VERY active boys – all of whom have taught her how to be a better person and a better OT! She enjoys spending time with her immediate and very large extended family, reading, walking her dog, and going to the beach. Frances grew up in South Carolina and received her undergraduate degree from Wofford College. After being exposed to the holistic nature of occupational therapy, she pursued a master’s degree from Virginia Commonwealth University. In and out of the clinic, she has enjoyed working with children and adults with a variety of abilities in many settings, including horseback riding. Specifically, she has experience working with children with Autism, ADD/ADHD, sensory processing disorders, learning disabilities, and motor planning disorders. Frances has completed continuing education with the Vital Links Therapeutic Listening, Handwriting Without Tears, and ALERT programs. Outside of work, she enjoys spending time outdoors with her husband and black lab, traveling, and riding her horse. She looks forward to getting to know your child! 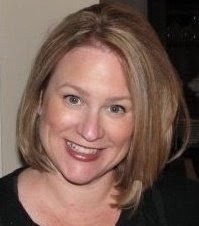 Lisa is a speech-language pathologist with expertise in Autism Spectrum Disorders, social/pragmatic language disorders, articulation/phonological disorders, and language-learning disabilities (auditory and language processing disorders). She often collaborates with ABA therapists during therapy sessions to improve patient outcomes. Lisa received her Masters in Education with a concentration in communication disorders from the University of Virginia in 1990. She has over 25 years of experience in the field of speech-language pathology. Early in her career, she developed a passion for furthering her understanding of Autism and related developmental disorders, particularly high functioning Autism, language-learning disabilities, and Asperger’s Syndrome. Lisa has certification in the following areas: Early Intervention, ADOS (Autism Diagnostics), Autism Spectrum Disorders, The Listening Program, Beckman and Talk Tools (Oral-Motor Treatment Programs). She recently completed Intro to PROMPT and is excited to apply her knowledge to her treatment sessions. As a child development specialist, she has had the opportunity to counsel numerous families in the management of their children’s complex educational and social/emotional needs. She enjoys running social skills groups for children and adolescents. Lisa and her husband have 3 children , all of whom will be scattered across Virginia colleges this year! Lisa plans to survive her empty nest syndrome by keeping up with her two pups and traveling to see her family! Michelle Davis joins Spot On Therapy Group with over 20 years of experience in health care industry with a focus on client service. Michelle will be your primary contact with Spot On Therapy Group. She will guide you through the intake process and be there to answer any questions you may have along the way. With a strong marketing and accounting background, Michelle is a welcome addition to the Spot on Therapy Group family. Caroline was born and raised in southern California and received her undergraduate degree in Asian-American Studies at the University of California, Irvine. Caroline did not find out about the field of speech therapy until she was in college when her great-grandmother needed speech therapy after suffering a stroke. 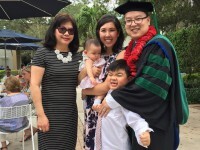 Caroline decided to pursue speech-language pathology after sitting in on her great-grandmother's speech therapy sessions and helping the SLP translate her sessions into Vietnamese for her great-grandmother. Because she is multi-lingual, Caroline thought that she could use her language skills to make an impact on the lives of others. She earned her Master's Degree in Speech-Language Pathology from Northwestern University and has over 9 years of experience as a licensed SLP. Her fluency in Spanish and Vietnamese has been invaluable in her service to non-English speaking clients and their families. She been fully trained in the SOS (Sequential Oral Sensory) Feeding Approach and the TR-eat (disciplinary Effect Assessment and Treatment) Feeding Method. She also has a background in NDT(Neuro-developmental) treatment and multi-disciplinary therapeutic approach for early intervention and other populations when she worked in private practice and trained under the late Jerilyn Logemann and her colleagues while at Northwestern University to perform bedside swallows and MBS swallow studies. Caroline is a recent Virginia transplant. She lived in Florida for the last 4 years while her husband attended medical school and he is now a resident at the VCU/MCV Hospital. When she is not thinking about her speech kids, Caroline has her hands full with her own 2 kids (a 7 year old son and 1 year old daughter) and husband (the biggest handful of all!) and loves long naps, shopping, singing, eating, cooking, arranging flowers, and visiting friends and family in her native California. Kari graduated from University of Illinois at Chicago and has over 20 years of experience working with children ranging from NICU into adulthood. Originally an Illinois native, she has worked in various locations from Kansas City to New York City to New Orleans to here in Richmond. In 2004 she co-authored a chapter in Pediatric Habilitation on Autism Spectrum Disorders and has spoken at several conferences in the areas of Sensory Integration, OT in the NICU and child physical development. Kari currently serves children in the 0-3 population through adulthood who have Autism, ADHD, visual impairments , and developmental disorders. Understanding that no two children are alike, her philosophy is to use an eclectic approach and pulls from various treatment methods to best meet the needs of the individual child and family she serves. 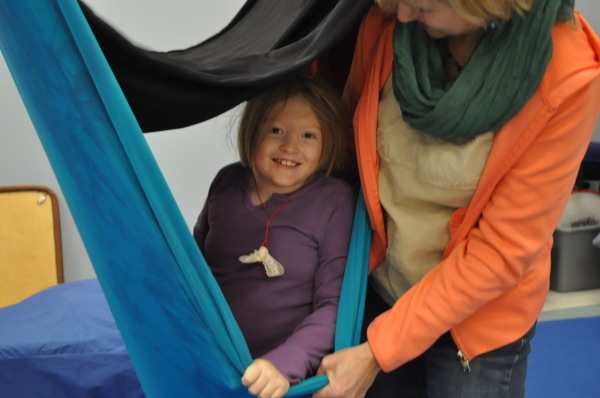 Kari's training is diverse, including Therapeutic Listening, Sensory Integration, NeuroDevelopmental Treatment (NDT), Wilbarger Deep Pressure and and Proprioceptive Technique, Interactive Metronome, Yoga for Children with Special Needs and The Alert and Zones of Regulation Programs. Kari moved to VA in 1999 and has built a life south of the river. She spends her time with her family of four children and husband. She loves to read and do crafts if she finds time in her busy schedule. Erin is a licensed and certified Speech-language pathologist with over 10 years of pediatric experience. She is originally from Baltimore, Maryland and studied Communication Sciences and Disorders at East Carolina University in Greenville, North Carolina. She then attended University of South Florida in Tampa to complete her Master's of Science degree in Speech Language Pathology. Erin is a member of the American Speech-Language-Hearing Association. 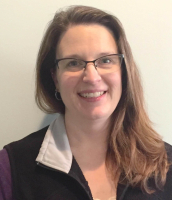 Erin has expertise in working with the Birth-Five population, specifically with language disorders, articulation/phonological processes, developmental disabilities, Autism and Down Syndrome. Erin has certification in Early Intervention, Hanen: “It Takes Two to Talk,” is a PROMPT Level 1 trained therapist. She additionally has experience with American Sign Language and PECS (picture exchange communication system). Erin has worked in public schools: pre-school through high school, private pre-schools, specialty schools for Autism and home-based Early intervention. Erin truly believes in the family centered approach to therapy and enjoys learning from and coaching families while playing on the floor, getting messy while creating arts and crafts projects, making snacks or attending outings in the community. 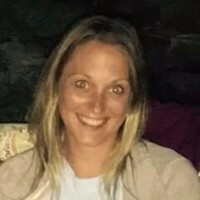 Erin and her husband have 2 young sons and a lovable beagle; who enjoy taking hikes in various State Parks, swimming and kayaking, and traveling to the beach as often as possible. Holly is from Boston, Massachusetts where she attended Northeastern University and Suffolk University obtaining her Master’s Degree in Public Administration with a concentration in health and disability program design. She moved to Virginia and was a stay at home mom, spending time with and caring for her greatest gift, her son Charles. Holly returned to school to pursue a career in Occupational Therapy, she attending J.Sargeant Reynolds Community College obtaining her Associate Degree in Applied Science and later graduated from VCU with her certification in Autism Spectrum Disorders. 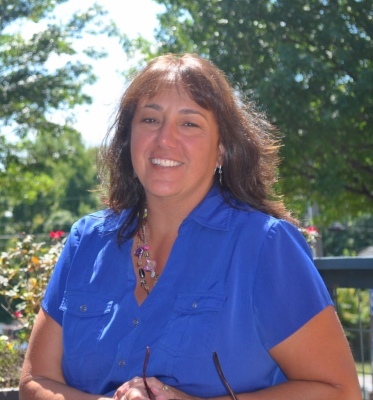 Holly has been practicing Occupational Therapy for 15 years, and has the pleasure of working for a private pediatric practice as well as Henrico County Recreation and Parks as a behavioral specialist before her employment with Henrico County Public Schools. Holly describes herself as an eclectic individual who loves the gym, enjoyed sky diving and go kart racing and now finds great pleasure cooking all types of food, collecting wines and is a self- acclaimed antiquarian. Victoria is originally from Connecticut and studied Human Development and Family Studies at the University of Connecticut. She then attended Washington University in Saint Louis to complete her Masters’ degree in Occupational Therapy. Victoria especially enjoys working with children and has experience in NICU, Pre-School, clinic, and home settings. She has worked with children with Autism, ADD/ADHD, sensory processing disorders, coordination disorders, dyslexia, fine motor delays, and preemies. Currently, Victoria is focusing her efforts on in-home occupational therapy for children receiving Early Intervention services through the Henrico Parent Infant Program. When she is not providing OT services, you can find Victoria enjoying the outdoors with her three dogs and busy toddler! Stephanie graduated from James Madison University, where she majored in Communication Sciences and Disorders and minored in Exceptional Education. She received her Autism Spectrum Disorders Certificate during this time. Stephanie also attended JMU for graduate school, where she earned her Master’s degree in Speech-Language Pathology. Stephanie interned at a private practice clinic where she provided individual speech, language, and feeding services to children with a variety of developmental and genetic disorders. She learned and used techniques from multiple specialty treatment approaches, including PROMPT, The Kaufman Speech to Language Protocol, Talk Tools, and the SOS Approach to Feeding. Stephanie also gained experience at an elementary school and a summer camp, in which she provided both individual and group treatment services. Stephanie enjoys working with children and their families to create individualized treatment programs to best suit her clients’ needs. In her free time, Stephanie enjoys cooking, traveling, running, hiking, and reading. She is from Northern Virginia and is new to Richmond. Stephanie is a foodie who is excited to explore all the cool restaurants that RVA has to offer! Carolyn Huff graduated from Elizabethtown College with a Bachelors of Science in occupational therapy and has been practicing OT for 11 years, first in Delaware, and now in Virginia. She has a certificate in assistive technology and has experience providing assistive technology to children and adults, including communication devices, wheelchairs, computer adaptations, and activities of daily living aids. 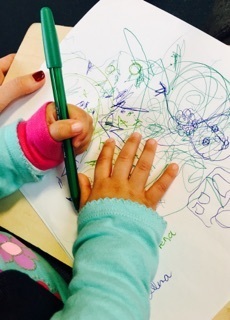 Most recently she has been focusing on working with children who have difficulty with fine motor and visual motor tasks, such as handwriting. Carolyn homeschools three small children of her own, and enjoys spending her free time with them and her husband. Her hobbies include reading, playing the flute, singing and baking. Alicia graduated from J. Sargeant Reynolds with an Associates Degree in Applied Science with a major in Occupational Therapy Assistant. Alicia has been practicing occupational therapy for 16 years in a variety of settings. Alicia has provided OT services and received continuing education in acute care with a focus on neonatal intensive care and high-risk pregnancies. She has also provided OT services through home health. Alicia currently works in the school system as a contract therapist providing services to children and is now providing part time intervention services at Spot On Therapy Group and assisting in therapeutic play groups. Alicia spends most of her free time with her husband and four children and is involved with their many sports including lacrosse, football, baseball, volleyball, and hockey. She also participates in church activities and is a member of the American Legion Auxiliary and the American Legion Riders. She enjoys gardening, traveling, participating in 5k/ 10k/ half marathons and obstacle running and helps cook for pre- game meals for the Manchester Football program. ​Allison grew up in North Carolina and has always loved being around children! She received her Bachelor of Arts in Communication Disorders from North Carolina State University and received her Master of Science in Speech and Hearing Sciences from the University of North Carolina in Chapel Hill. She previously lived and worked in Washington DC, developing her skills as a feeding therapist with medically fragile infants on a Neonatal Intensive Care step down unit. Throughout her career Allison has worked with children with a variety of medical diagnoses including trach/ventilator dependency, complications related to prematurity, Cerebral Palsy, Traumatic Brain Injury, Autism, and chromosomal abnormalities. Allison is also a Certified Lactation Counselor who is able to assist mothers with breastfeeding difficulties. She prides herself in being empathetic and working with families to provide family centered and functional therapy. She also loves to help kids learn both receptive and expressive language skills through play based therapy and laughter. She is a Hanen Certified Therapist who has attended the It Takes Two to Talk Workshop and is also trained on The Picture Exchange Communication System (PECS Level 1). She has attended The Sequential Oral Sensory (SOS) Approach to Feeding and The SOFFI Method (Supporting Oral Feeding in Fragile Infants) course. When she is not working Allison enjoys traveling, yoga, and loves being outside with her two cocker spaniels. Stay tuned for more information about Keri! 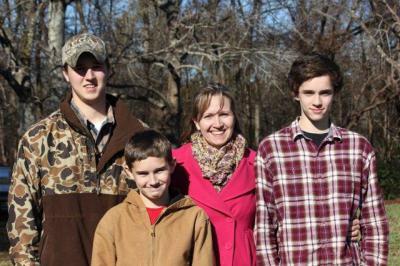 Caitlin grew up in the Shenandoah Valley as one of 7 siblings. Her mother and older sister are both special education teachers and two of her younger brothers received OT as young children for different challenges, including Autism spectrum disorder and Down syndrome. Caitlin was inspired by her upbringing and her family and went on to earn a Bachelors degree in Pre-Occupational Therapy from George Mason University in Fairfax, VA. She came to Richmond to complete her Masters in Occupational Therapy at Virginia Commonwealth University. Caitlin is a NBCOT-certified, registered occupational therapist with experience across the lifespan, though her passion is for the younger population. In the pediatric world, Caitlin has experience working with children with a variety of diagnoses, including Autism spectrum disorder, Down syndrome, dyspraxia, ADHD, and Sensory Processing Disorder. Caitlin is also experienced in Feeding Therapy and has treated children with severe sensory aversions, extreme selectivity, and food refusal following a choking incident (pseudodysphagia). 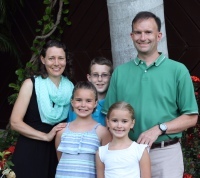 When not treating her kiddos, Caitlin enjoys spending time with her husband and dog. She loves reading, hiking, yoga, and visiting family, especially her three nieces and newborn nephew out in California! Andrea grew up in southern WV. She went straight from high school to college to earn her Bachelor degree in Psychology and her Master of Science in Physical Therapy both from Wheeling Jesuit University. She has 18 years of experience spending the last 15 of those years specializing in the treatment of children. She began working in WV in a variety of settings including an outpatient clinic, a nursing home, schools, and early intervention were she discovered her true passion for working with families who have children with gross motor delays. She has lived in Chesterfield since 2008 helping children from 0-21 years old in outpatient and early intervention programs. She provides physical therapy services to a variety of children including ones who have pain, broken bones, sprains, gait abnormalities, movement disorders, cardiac issues, POTS, Mitochondrial disorders, neuromuscular disorders, Torticollis, Concussion/TBI, arthrogryposis, and genetic/chromosomal conditions. Some of her recent continuing education courses have included Mulligan mobilization techniques, Cascade/Sure Step/DMO products, foot positioning and gait mechanics, Functional Electrical Stimulation to substitute for bracing, and AMA Mitochondrial Medicine. She is certified as a KTP in Kinesio Tape and as an Early Intervention Professional in Virginia. Outside of therapy, she enjoys participating in activities outdoors, with her church, with her husband, 10 year old son, and 14 year old daughter. Nancy L Davis, M.S., P.T. Nancy is originally from Brooklyn, NY and graduated in 1988 from Long Island University with a master's in Physical Therapy. For the past 12 1/2 years, she has lived in Chesterfield where she has worked primarily in pediatrics, but also enjoys working with adults at St Mary's Hospital. Currently, Nancy is the lead NICU PT at St Mary's hospital, as well as one of the founding therapists for the NICU graduate follow up clinic (Developmental Assessment Clinic). Nancy is also a certified educator of Infant massage. 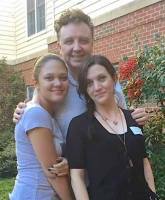 She has two daughters, Laura (25), who has a Master's of Divinity and is currently at VCU doing a social work degree and Julia (19), who has started at John Tyler CC. Her older daughter is legally blind from birth and received various therapy through EI and school, so she has lots of first hand experience on the "other " (parent) side as well. Nancy loves working with children and families to help them through their challenges and joys of raising children with special needs. Cherie studied Speech-Language Pathology and Social Work at Texas Christian University. She then earned her Master of Science in Communication Disorders at The University of Texas at Dallas. She has primarily worked with students aged 1-15 in their homes, schools and online (telepractice). Her clinical interests include articulation disorders, early language development/ delays, and augmentative/ alternative communication (AAC). She has experience with students with autism, Down's Syndrome, intellectual disabilities, and learning disabilities. Her treatment sessions are often multisensory, literacy and play-based, including music, movement, crafts and games as appropriate. When not at work she is spending time with her spouse, Isaac, and one year old son Ezekiel. She loves dancing, cooking, and college football (go Frogs!). Kim Alford graduated with her BS in Occupational Therapy and has provided occupational therapy services to children of all ages with developmental disabilities for the past 20 years. She enjoys working with children and their families to build skills and find other strategies to improve the quality of life for the entire family. Kim has completed her Master's in Organizational Leadership and is currently working on her Doctorate of Occupational Therapy (OTD). She has received training in sensory integration/sensory processing disorders, Beckman Oral Motor Exercises, Talk Tools, and NDT. When she is not working, Kim is an active volunteer at her church and in her community and enjoys traveling. therapists new to that setting. Jennifer also previously worked in two private clinics in California and Virginia specializing in Sensory Integration for children. Her therapy focus is on every-day, real world outcomes and self-efficacy, while at the same time honoring the client at his or her current place of ability. Outside of work, Jennifer enjoys cooking, knitting, reading, pets, and traveling as well as taking on more projects than she can possibly complete. Maura McGlynn grew up in St. Louis, Missouri. She received a B.A. in philosophy from Marquette University in Milwaukee, WI. After working with school children in South Africa, Maura decided to pursue a degree in occupational therapy. She received her Doctorate of Occupational Therapy (OTD) from Creighton University in Omaha, Nebraska. Maura was privileged to study at the International Adoption Clinic at University of Minnesota Masonic Children’s Hospital. She completed her doctorate work providing services and training on sensory processing and child development for the Missionaries of Charity (Mother Teresa’s sisters) in Sri Lanka. Maura began working as an occupational therapist in children’s hospitals. She then transitioned to travel therapy, exploring the different environments and ways that occupational therapists assist children all over the country. She has worked in pediatric clinics, schools, hospitals, and in early intervention. 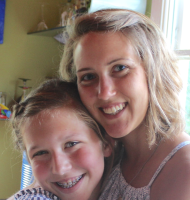 Seeing tremendous overlap between physical and mental health, Maura returned to school. While working as an occupational therapist, she is also obtaining a Doctor of Psychology (Psy.D) degree at Divine Mercy University in Arlington, Virginia. Having both psychology and occupational therapy training has lead Maura to respect each child even more! When Maura is not going to school or working, she likes to travel, hike, run, and learn about animals. She used to work at a zoo! Maura loves to spend time with her fiancé Nick and her dogs Beaux and Thales. She is excited to get to know each family and child she meets at Spot On! Phaedra is originally from the Pittsburgh area; her extended family lives there- Go Steelers! She received an undergraduate degree in Speech Pathology/Audiology at Clarion University of Pennsylvania in 1994. After moving to VA, she earned her Master’s degree in Communication Sciences and Disorders from James Madison University and has twenty + years’ experience working with pediatrics in the public school setting, hospital, clinic and private settings and early intervention. Her passion is working with service teams and families of infants and toddlers to educate and coach early communication development. Phaedra is board certified by the American Speech Language Hearing Association, Commonwealth of Virginia Board of Audiology and Speech-Language Pathology, and the Commonwealth of Virginia Department of Behavioral Health and Development Services. She is trained in PECS – The Picture Exchange Communication System and TEACCH- Treatment and Education of Autistic and other related Communication handicapped Children from The University of North Carolina at Chapel Hill, and LAMP-Language Acquisition through Motor Planning from Virginia Commonwealth University. She has experience in all areas of pediatric speech/language and communication disorders including training/use of AAC-Augmentative and Alternative Communication. In her free time, Phaedra enjoys being outside and on the river boating, jet-skiing, kayaking, paddle boarding or enjoying the beach with her son and Labrador retriever, Lena. ​Jessica P. Austin, a Richmond native, is an alumna of James Madison University where she received a Bachelors of Science degree in Communication Sciences and Disorders. She went on to receive her Masters degree in Speech Language Pathology from the University of South Carolina. 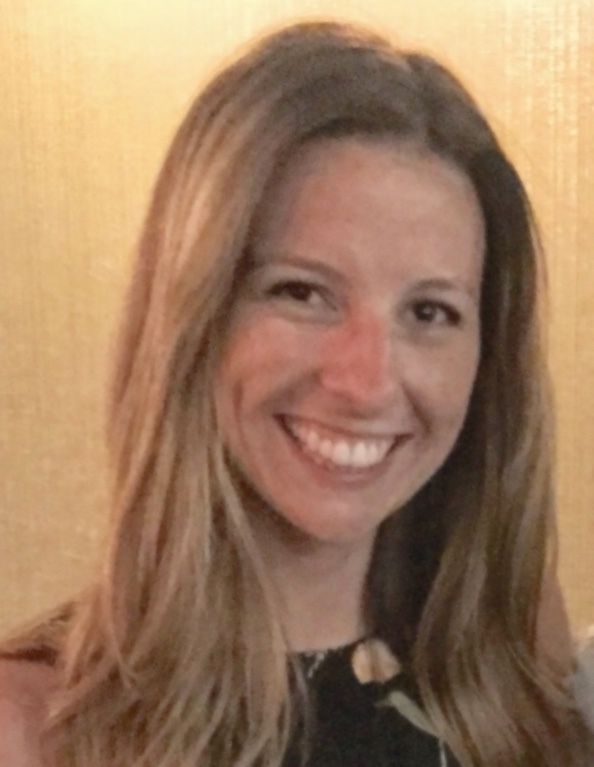 Jessica has been certified by the American Speech and Language Hearing Association as a Speech-Language Pathologist with clinical experience in; early intervention, articulation/language disorders, auditory/language processing disorders, assistive technology, hearing loss, and fluency. 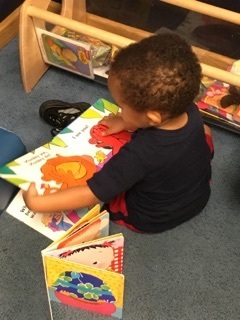 Along with these experiences she is also a qualified PROMPT (level 1) trained therapist, which she utilizes to increase children's success with motor planning required for verbal production. Jessica's passion is helping families by increasing their child's success with communication. She uses a family centered approach to better target children's specific and individual communicative needs. When not working Jessica enjoys traveling and experiencing new events, festivals and restaurants. Allison, a Richmond native, received her Bachelor of Science degree in Communication Sciences and Disorders from James Madison University. She went on to receive her Masters degree in Speech Language Pathology from Old Dominion University. Allison recently completed Intro to PROMPT and is excited to apply these techniques to her treatment sessions. She has experience working with individuals with Autism, Down Syndrome, genetic conditions, cognitive impairments, Aphasia, Dysarthria, Dysphagia, traumatic brain injury, ADD/ADHD, and developmental delays. Allison also works in the public school where she provides therapy services to students age 3-22 with language disorders, articulation disorders, phonological disorders, childhood apraxia of speech, fluency disorders, and pragmatic deficits. Allison has a particular interest in Early Intervention and enjoys working closely with families. When not working, Allison enjoys doing yoga, exploring new restaurants and events in Richmond, and getting together with friends and family. She is looking forward to working with you and your child! Ariel is a native Virginian with a BS in Psychology, currently pursuing an M.Ed. in early childhood special education (ECSE). 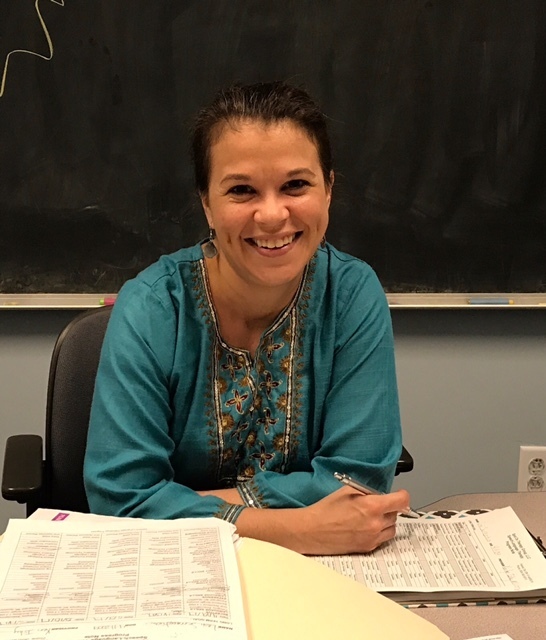 She is licensed as an early childhood special educator by the Virginia Department of Education and is certified as an Early Intervention Professional. Ariel teaches in a self-contained ECSE classroom in addition to providing in-home developmental services to children from birth to three. Before beginning her career in education, she held a position as an Early Intervention Service Coordinator with Henrico County. In her spare time, she enjoys gardening and spending time with her husband, 3 dachshunds, 3 chickens, and a cat. Rebecca is licensed and certified speech-language pathologist. Born and raised in Tappahannock, Virginia, Rebecca graduated from Longwood University with her Bachelor of Science degree in Communication Sciences and Disorders. She then continued on to graduate school where she received her Master of Science degree in Speech-Language Pathology from the University of Tennessee. While in school, Rebecca gained experience working with children with Autism, articulation and language disorders, and feeding and swallowing disorders. Since joining the field, Rebecca has spent her time working primarily with children with Autism Spectrum Disorders as well as children with intellectual disabilities, developmental delay, articulation/phonological disorders, and specific language impairment. Rebecca is a member of the American Speech-Language-Hearing Association and desires to become a Certified Autism Specialist. She is the oldest of three children and is extremely close to her parents, grandparents, and extended family. When not at work, Rebecca enjoys spending time with her dog Simba, exercising, reading, and relaxing. Beth grew up in Manassas, VA and received her bachelor’s degree from Radford University in Exercise, Sport, and Health Education. Ever since Beth was little, she knew she wanted to work in the health field, which led her to pursue a master’s degree in Occupational Therapy from Radford University. She has experience working with people of all ages in various settings (skilled nursing facility, rehabilitation hospital, school system, and private pediatric clinic), but has a strong passion for the pediatric population and their families. She has experience working with children with Autism, ADD/ADHD, sensory processing challenges, Down Syndrome, neurological disorders, genetic conditions, and overall developmental delays. She is a member of the American Occupational Therapy Association (AOTA) and has completed continuing education in Integrated Listening System (iLs), Handwriting Without Tears, Sensory Integration, and Zones of Regulation (ZOR). Beth is new to RVA and enjoys playing with her dog, Pepper, spending time with her family, and exploring Richmond with her husband! 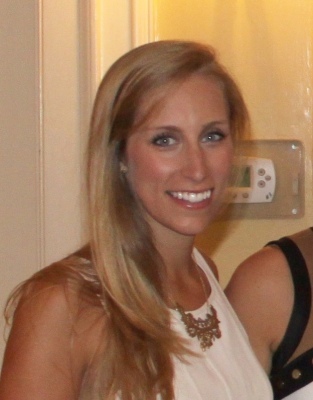 Gracia Holtz is a D.C. native who recently relocated to Richmond and is thrilled to join the Spot On therapy group! Gracia has over 17 years of experience providing innovative and compassionate speech and language services to children of all ages with successful outcomes. Gracia earned her Masters degree from the University of Virginia in 2001 and began working in the private sector within the Metro-DC area. Throughout her career, Gracia pursued additional education and training including DIRFloortime, the Affect Based Language Curriculum (ABLC), feeding and Food Chaining, auditory processing disorders, apraxia of speech, and sensory-oral motor techniques. In 2004, Gracia founded a pediatric practice in Northern Virginia where she provided services to children and their families as a respected therapist, educational advocate, and mentor to area professionals. Gracia is PROMPT trained and certified by the American Speech and Hearing Association. Gracia has special interests in autism, feeding and swallowing difficulties, executive functioning, auditory processing, dyspraxia, tongue thrust, and reading challenges. She understands and respects the unique challenges and learning differences of all children. Gracia has been commended by parents for motivating children through her creative and energetic approach to treatment. Gracia and her husband John are both VCU under-graduates who are excited to be living in Richmond again after so many years. Together, with their three great kids, they enjoy traveling, outdoor adventures, and having as much fun as possible with friends and family. Virginia started her training as a biomedical engineer. She received her Ph.D. in Bioengineering from Stanford University. She completed her dissertation on motor learning in children with dystonia and cerebral palsy, studying under child neurologist, Dr. Terence Sanger. Her interest in the clinical applications and relevance in her research work in rehabilitation engineering led her to pursue a master's degree in Occupational Therapy from University of Illinois at Chicago. She has experience treating in early intervention, pediatric outpatient clinic, school system, and acute care hospitals. She moved to Richmond with her family, and joined the faculty at the Department of Occupational Therapy at Virginia Commonwealth University. She conducts research at VCU studying the effects of sensory processing challenges on motor control and motor learning, particularly in children with dyspraxia and idiopathic toe walking. When she is not working, she enjoys making things (crafting, cooking, sewing, upcycling... anything that one can make with 2 hands and some tools). ​Dorsey is from Virginia Beach. She received her master’s degree in Occupational Therapy from Shenandoah University. She found OT through a roundabout path – after studying environmental studies and working as an environmental educator after college, she realized how much she enjoyed working with people, especially children, and was intrigued by the development of young minds. Over the next few years, she pursued an OT degree and gained experience working with children in a preschool and school for students with Autism Spectrum Disorder. She has experience working with adults and geriatric populations in skilled nursing facilities, hospitals, and mental health settings. Through her work in the mental health setting, she gained experience working with adults with histories of trauma and began to pursue opportunities to better understand how to utilize a trauma-informed approach to treatment. She has also had the opportunity to provide OT to children and adults in Haiti and hopes to continue to pursue global opportunities throughout her career. Outside of work, she enjoys going to the beach, hiking, traveling, cooking, and spending time with friends and family. She is excited to be a part of the Spot On team! 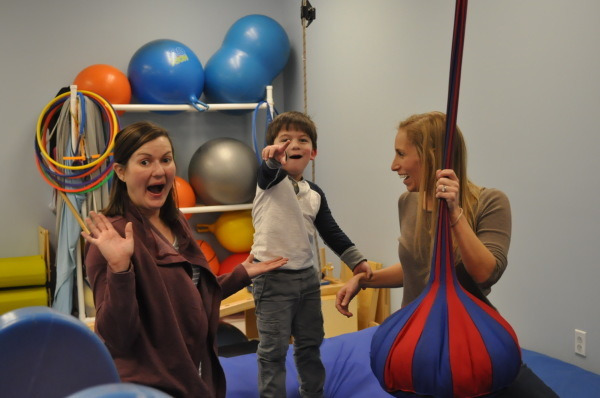 We are a speech-language pathology, physical therapy, and occupational therapy group located in Richmond, Virginia. Our practice is dedicated to serving patients and their families through individualized treatment plans, parent education/training, and collaboration with professionals. Spot On Therapy Group currently is an in network provider for Anthem, Blue Cross Blue Shield, Anthem HealthKeepers, Aetna, Optima, United Healthcare, Tricare, Medicare, and Medicaid. If we are not in network with your insurance provider, please call for out-of-network payment options. The information on this site is provided for informational and educational purposes only; it does not contain specific medical advice. If you have specific health questions or problems, consult a health care professional.